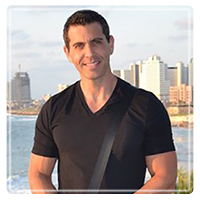 Boca Raton Therapist: David Steinbok - Therapist 33486. Send A Message To Dr. Steinbok. Welcome to my practice. If you are reading this, you or someone you care about might be suffering emotionally and can benefit from psychotherapy. As a mental health clinician, I offer a warm, non-judgmental space where you can be free to discuss your difficulties. Together, we can learn to understand how certain destructive thought patterns have developed and how they are maintained, causing you unhappiness and defeat in your life or relationships. During childhood we develop certain perceptions of ourselves and others. This becomes our reality. Sometimes our realities cause us to view ourselves and/or others in harsh unrealistic ways. This can lead to anxiety, depression, and/or issues with self-esteem. Through the process of psychotherapy, we learn how our minds work and how we developed our unique understanding of the world. This serves to offer alternative ways of thinking which leads to new options for coping with life.